How to use Torrent Ratio Keeper Monster Version. Instruction. 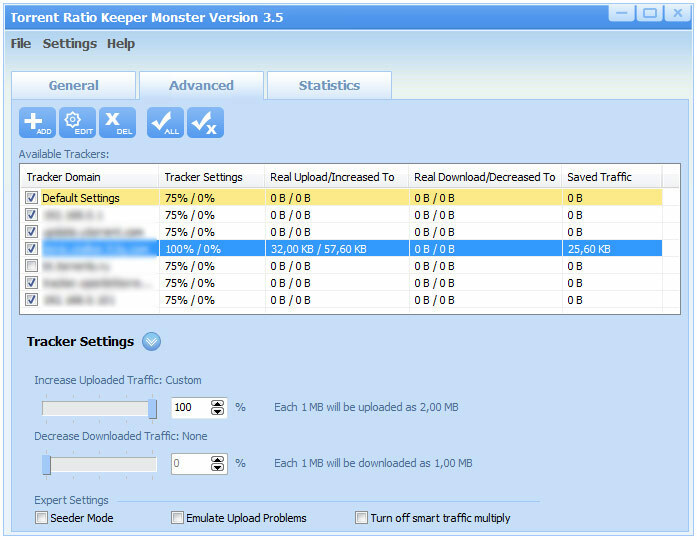 Torrent Ratio Keeper Monster Version allows you to configure the Upload increase up to 1000% and the Download decrease traffic values. You can also use the Expert Settings (Seeder Mode, Emulate Upload Problems). It has 2 skins: the Classic (Windows standard) and BlueSky. You can configure the Upload increase and the Download decrease traffic values. For example, if you increase the upload to 300%, the tracker will count each 1 MB as 4 MB. This will save you a lot of time! 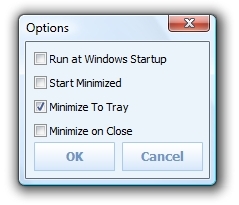 Jump to the "Advanced" tab and follow it's instructions to "start your Torrent client". Wait a minute, and if you already have any files uploading or downloading, the program will automatically add their trackers to the list. If trackers are available, and the uploading or downloading process was started, you will see trackers in the list. The bullet next to the torrent client's name will start blinking. uTorrent's bullet is highlighted in this example. You can see the last statistics update time on "General" tab. Clicking on it will open "Advanced" tab and highlight updated trackers with yellow color. The first value is the real uploaded traffic, and the second next is what the program sent to the tracker. That's all there is to it. The program sent report to the tracker with new values, and you can check your ratio on the tracker to see the result. And as we mentioned before, if you have a high torrent ratio, you will get more seeds and a faster download. Note: A few torrent trackers don't give seeds for the seeders. if Seeder Mode is on you will have low download speed or no downloading at all on these trackers. — Disable the Smart Traffic Multiplier. 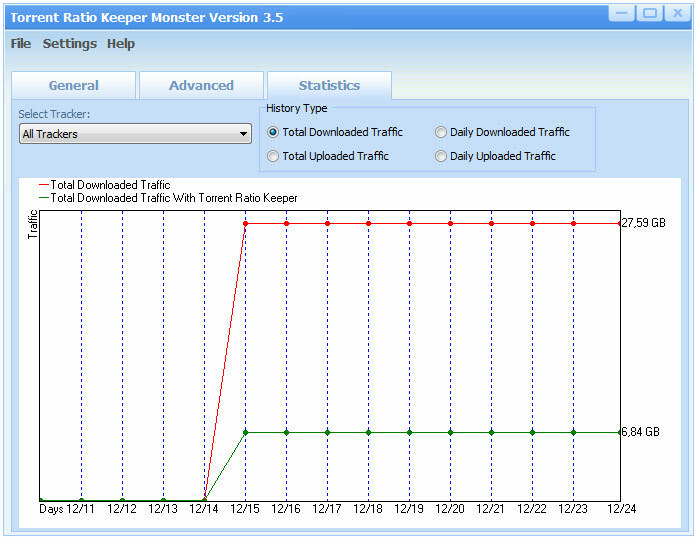 Torrent Ratio Keeper will use your selected Upload increase and Download decrease values without randomization. The program uses random values to increase upload or decrease download by default. This hides Torrent Ratio Keeper from the tracker. If you understand how the tracker works, you can turn this feature on, and the program will change traffic without randomization. While your Torrent Client is downloading or seeding files, the program will receive statistics of the uploaded and downloaded traffic. You can see them on the "Statistics" Tab. The first stats will be available the next day after you've started the program, and are downloading files. Then, the graphics will update every 5-20 minutes, depending on the trackers' settings. You can see statistics for all the trackers or for an individual tracker by choosing one from the dropdown list. — The green line means Fake traffic and — the red line means Real traffic.